Does Corbyn's run indicate that alienation rules? I had thought that my own continuing obsession, as a journalist, with the Iraq war was somehow out of kilter with much of the rest of society. Having travelled to the country during the invasion, and having examined the brutal reality of post-war Iraq five years later, I saw first hand the thoughtlessness with regard to its execution and consequences. But during the global economic downturn and with years of relative calm in the country it felt as if the issue had fallen out of the public’s consciousness. Strangely, it was covering the referendum in Scotland last year that began to demonstrate to me that despair with the war and Westminster’s role in it was widespread. The genuine engagement that the Scottish people seemed to feel in their political destiny was almost a counterweight to the disenfranchisement that others had felt after the UK’s biggest ever demonstration had little impact in London. The rise of the self-styled Islamic State, and its repeated savagery, also brought the consequences of the war repeatedly into focus. It seems almost as if every time Isis strikes, a reminder is triggered that in bombing the complex entity that was Iraq, the invading allies helped lay the foundations for this inhuman rebellion. Yet few mainstream politicians discuss the fall-out, even the alienation that flows from both the war in Iraq and in Afghanistan. Some of the resentment, alienation even, focuses on Tony Blair 12 years on, and not a little of it upon the Labour party in particular and parliament in general. Even though Mr Blair triumphed in the 2005 election, in 2015 very few Labour party figures seem keen to be associated with their three-time election winner. As visceral as the criticism of the war is, the other and perhaps much stronger sense of domestic alienation focuses on the prevailing policy of austerity. While one poll commissioned by Labour’s Jon Cruddas found that 56 per cent of people agree with the statement “We must live within our means, so cutting the deficit is the top priority”, there is a genuine sense that some of those supporting Jeremy Corbyn are invigorated by the sense of a genuine alternative to the broad consensus among the major parties. At the general election, the Scottish National Party fought a campaign focused both on war, including the issues of Trident and Nato membership, and austerity. Sure, self-government was a huge issue too, but from what I witnessed, the outcome was far more about those issues than about “nationalism”. You can dupe some of the people some of the time, the saying goes, but you can’t dupe all of the people all of the time. That has never been truer than in the handling of the consequences of the 2008 banking crisis – of which we have eerie reminders with the continuing tremors in the world markets. The current government say that their policies have helped the poorest in society, but an undiminishing number of people perceive that the less well-off in society are paying, through these austerity measures, for the mis-doings, avarice, and incompetence of those in the City. Domestically, some of this sense of alienation has resulted in a surge in fear of the “other”, as expressed in the huge Ukip vote at last year’s general election. For others it led to votes that resulted in the wholesale destruction of Labour, Liberal Democrats, and Tories in Scotland. And for still others it resulted in enthusiasm for the run for Labour’s leadership by Jeremy Corbyn. Abroad, alienation is expressed in America in support for the TV absurdist and property mogul, Donald Trump, and in Bernie Sanders, one of the few US political figures to describe themselves as a socialist. In Greece and Spain there are Syriza and Podemos – both of whom have found support on radical anti-austerity platforms. In France it is displayed in the gathering support for the National Front, and in Holland, Denmark, and once liberal Sweden, for support for anti-immigrant parties. Alienation is what links these disparate movements. Above all, alienation in our digital, connected, social network dominated age, from the old politics focused on the likes of Westminster and Capitol Hill. These are entities in which voters frequently do not see themselves replicated in the array of elected faces discussing their affairs – despite some high-profile efforts by parties to diversify their candidates. In Britain fewer that 400 women have ever been elected to our parliament since they got the vote in 1918. In both ages and ethnicity these parliaments rarely look like any cross section of the populations in which electors live. In short, alienation has come to rule beyond the confines of traditional power. Hence, I argue, the Ukip, the SNP and now the Corbyn insurgence. As someone volunteering for the Corbyn campaign (one of over 13,000 people), I feel that the surge in support for him is not just about alienation but about hope and optimism. Most of the people who support him have been politically active for years – in trade unions, the labour party, the anti-austerity movement and many, many other campaigns. They may be alienated from Politics but they are engaged with politics. Framing the Corbyn movement in terms of alienation stresses the negative and what is against. Framing it in terms of hope stresses the positive and what it is proposing for our future. So refreshing to read serious, mature thoughtful political analysis after so much of the ideological froth we’ve been subjected to at times – welcome back! A considered and perceptive piece. But can journos please stop quoting Jon Cruddas’ poll ‘finding’ that 56 per cent of people agree with the statement “We must live within our means, so cutting the deficit is the top priority” without challenge? The statement contains a non sequitur: there are lots of ways of living within our means – cutting the deficit is not the only answer. One of the things that has alienated people is the fact that this deficit—austerity narrative is all-pervasive at the moment. And Cruddas’ question simply reinforces this. The reality is that most people don’t know the difference between a deficit and a debt; or current spending and investment. Anyone with any training in social research would see this is as a prime example of an opinion survey question which will produce an inevitable but unreliable result. Thanks for that Jon it’s very true. It would appear that the labour party is very fearful of corbyn and his supporters and is conducting a witch hunt to stop us voting for him. I am not a current member of a party nor is my wife, we are both in our 50s and have been refused a vote. We are keen to support corbyn but we are not keen to support a party that behaves like this. One wonders where they get their information from and if in the course of gathering of this information they have broken the data protection act. I remember the witch hunt of militant and that wasn’t pleasant and should not be repeated. I suspect you have felt alone because you are a Pioneer working in a Prospector industry in a Prospector-dominated world. See http://www.cultdyn.co.uk for an explanation of the way you feel as you do, and for why the Corbyn campaign is changing the dominant narrative. C4 News is the only news outlet that would begin to understand it. I completely agree with Heather. As someone who voted with hope for Blair in 1997 and found that the Labour government continued to pursue neo-liberal economic policies while overseeing the continuing gap between rich and poor, I have been given renewed hope that the large number of people who have lost out in the neo-liberal “globalised” economy will have their voices represented by someone who understands that the economy has to be managed for the benefit of all, not just the better off and those who have built-in advantages, mostly through birth. There are coherent alternatives to our surrender to the market, not least the financial markets, which drive “austerity”. Our economy desperately needs to be “rebalanced”, away from its reliance on financial services (much of which benefits only those involved and the rest of us barely at all) and consumption based on ever-rising property prices. We need to invest – in modern industries and in people – for the medium to long term. Our current laws & deregulated arrangements have produced a short-termist business environment which is pernicious, based solely on short term returns, without thought for the longer term of the business, its employees or any wider responsibility to the community. Corbyn gives us a hope that an alternative approach can be adopted. If nothing else, millions of people deserve a choice when they go to the polls (outside Scotland & Wales), rather than the 3 (or 4 if you count UKIP) main parties offering essentially similar versions of the same approach. As a successful and retired business man I have to say that I have never been energised enough to take an interest in politics before. However, I now find it intolerable that in a society as rich as ours we tolerate such inequality. How did we ever get to the point where we tolerate food and clothing banks? Where we accept that we cannot house our population? where students graduate with crippling debts and that the welfare state as created by Clement Attlee and his brilliant post war team is being systematically destroyed? At what point did we seek to blame immigrants for all our ills when our Nation has always been and always will be dependent on them? How did we ever accept that working people, and those suffering financial hardship for a multitude of reasons, should be made to pay for the greed of banks and speculators? It beggars belief that the Labour party under Blair, Brown and latterly Miliband should subscribe wholeheartedly to this inhumane dogma called ‘Austerity’. At last we have a politician who is standing up for what is right in our country and boy is he facing some opposition. However, there are more and more people like me who are very comfortable financially but are angry at how unequal and divided we have become as a society. I have registered to vote in the Labour leadership election and have passed the vetting process. My vote has gone to Jeremy Corbyn because he is making a connection to the vast majority of decent people in this country who understand that we need drastic change and we need it fast. Totally agree with Jon Snow re Parliament being out of touch in truly representing the democratic will of the people re Iraq War and all the other issues. We need a new political party based on high public service standards delivering the just will of the people. A 2020 vision of Parliament outlined both in the book Downing Street Species and by Consensusuk.org. Sir Richard Branson as with myself had a diplomatic strategy to avoid invading Iraq as supported by Koffi Annan but Blair chose the military option instead. I had confirmation that the diplomatic option was passed on to Blair pre-invasion. Will the Chilcot enquiry ask why wasn’t the Branson strategy supported by Blair ? It isn’t just the big events. Look at the way the leadership battle has been covered. It is pathetic. Newspapers, TV, radio all trying to get cheap points and create scandals out of either deliberately mis-understanding something (the alternative is that the people within politics and writing about it are morons…) The truth being twisted. Questions being answered clearly and then demands for that question to be answered clearly – Sky are very guilty of these but the BBC and channel 4 aren’t blameless. What Corbyn has said about female only carriages is surely intelligent – this is an idea suggested by some people involved in this issue, I’ve listened to them and will react to what the greater response to this issue. But Cooper has leapt on it like he is demanding women be forced onto separate trains and the media is doing exactly the same thing – twisting things so it can appear spectacular rather than reporting the facts. It is demeaning for the electorate to be treated in this way. Like we can’t understand anything important, nuanced or anything that may need explaining. This is why we’ve lost faith and are beginning to ignore it. Corbyn has said I will do this in order to do this. Throughout the election we didn’t get that. And due to pure fear that they would upset the media and mysterious focus group created voters the Labour party were too scared to attack the tories woeful economic record and too petrified to even vote against the newest attacks on the poor. That is why people didn’t vote for them, they didn’t even have the guts to stand up for themselves because politics has been dragged down to a notion of scoring quick shallow points and not offending an abstract notion of a human, and too many people live well from this vacuous notion of what politics and the coverage of politics is. And don’t even get me started on the unquestioned and critiqued cheering in ecstasy of tory mps as they announced wave after wave of cuts. It was only Paul O’Grady who called them to account for that, not the Labour front bench, not hard hitting political journalists…a light entertainer had to do it. But by god the political class can twist a sensible proposal into a few cheap points and be home sipping vino and feeling smug when they want to. It is not one or two events, it is all of it. PS. Essentially what I want and expect is that the next time a senior tory comes on to pat themselves on the back that a mainstream news network uses one of their big screens and on it juxtaposes two images. One of the disabled gentleman being washed in a paddling pool in his lounge and the other of the ecstatic cheering of tory mps as the cuts were announced that made this happen. Then I would start believing in political journalism again, and politicians might start acting like there is some consequence for the way they behave and speak. And then we could move onto Cameron and his “swarms” and the image of 50 dead bodies in the hull of a ship. Start holding them to account for real things and real consequences (and you won’t need to try to create storms from light breezes) and they may start acting in a responsible manner. I told you for years you were out of touch with the people of this country. Time and again events proved me correct. Now, it seems, the scales appear to have (at least) started to fall from your eyes. But there’s a long, long way to go yet before you and C4 News restore your credibility. The “alienation” you mention?…..That’s what Westminster and Whitehall have done to themselves, guided by warmongers, careerists and the far right employed by the spivs at Canary Wharf. All of it happened right under your nose down there in Corruption City (see Roberto Saviano). So far, on screen you’re batting zero. Many of your establishment stenographer colleagues are little more than evil propagandists to rival Murdoch’s and Dacre’s boot boys. It could have been so different. And you know it. Corbyn has brought light from a feeling of despair. For the first time since the late 70s I feel that the Labour party may have to take a look at the world that I see around me. That is if the labour elite don’t screw over Corbyn in the way that I feel me and mine have been ignored. It is heartening to see a blog which genuinely looks at some of the reasons why many people feel not so much alienated, as angry. Having just read Alex Brummer’s book ‘Britain for Sale’ I am astounded at what has happened to the assets of this country. I am so ashamed to belong to a generation which has stood by and done nothing whilst the sacrifices made by the previous, willingly and for our benefit, are made mockery of. The greed and immorality of corporations, banks and even politicians beggars belief. Similarly the political and military manoeuvrings around the world have done absolutely nothing but make matters worse. I have voted for Jeremy Corbyn because, as your post points out, he is the only politician to invite public discussion of these things. It has been a sobering experience to watch the ‘establishment’ rise up, almost as one, against the very idea of talking about what has been going on. I agree with the previous poster that this is about turning the anger to hope. That so many young and first time voters have engaged so positively with this is uplifting. Many others, who continue to believe their best interests lie with the status quo, will in time perhaps come to think differently as more open discussion starts to shine a light on the murkier goings on of recent decades. Corbyn has had the guts to get the ball rolling, and continues to pay a heavy price in terms of mockery and abuse, but it is my sincere hope that he has galvanised enough people into making a stand. If not, then we may start to view the latter half of the 20th century as nothing more than an uncharacteristic blip in an otherwise unbroken history of total subsevience by the many to the few. I am not writing this because I have what have sneeringly been referred to as ‘noble ideals’. I am writing because I am old and wise enough to realise that, as the nation’s wealth flows faster and faster into the hands of fewer and fewer, it will not stop just before it gets to my own door. I feel there’s some truth to this. I’m a 30-something who’s felt alienated from politics my entire adult life. We’re simply ruled by psychopathic liars. Our politicians made us the aggressors in a disastrous bloody war based on barefaced lies, they impoverished us with economic policy based on lies about austerity and covering up the criminality of the big banks, they have taken our freedom by spying on us and constantly inciting fear. Then they pretend the consequences of their lies – instability, terrorism, poverty, more wars – weren’t their fault and utterly predictable. It’s been hard to see much difference between the major parties as Labour moved sharply right under Blair. I swore I would never vote for Labour after Iraq, but Jeremy Corbyn appears to be an actual human being and to have some fairly humane positions. The hysterical over-reaction by the entire British media and establishment class to Jeremy Corbyn proves he’s a threat to entrenched power and deserves a chance to lead Labour. It is quite possible he will fail badly in trying, but that’s better than any of the others could do. The surge for Jeremy Corbyn is many fold. A man of integrity, not a party apparatchik. Not offering the same old tired polices. Offering a real alternative to the failed policy of austerity. Able to relate to people and be willing to represent them. Thanks for this, & its reference to a great political activist (Bob Marley). Whilst Labour’s leap to the left is alarming, I too draw synergies with the success of the SNP and the real issues it seeks to address. The Corbyn movement could have an exciting impact on the political status quo…. An interesting article by Jon Snow but it does not lean left or right. The “Alienation” is otherwise favourite term among Marxists so I guess there is a slip from Jon’s subconsciousness. He is pro Corbyn more then his professional conduct allows him to admit. Putting Corbyn in any category with UKIP leader is very superficial part of the analysis as Corbyn’s “populism” is based on positive values he shares with the UK’s working class. He does not set workers (english) against workers (polish), or workers against machines (The Luddites) but he helps them to remember its forgotten ideals and basic principles of struggle against ruthless exploitation. The alienation process develops in the same order (from I to IV) but de-alienation, or Corbynism, is a reverse process. As City bonuses get bigger and the House of Lords get fatter, the obvious question is why not vote for an alternative? Dear Mr Snow please can you tell why is it when the DWP published the number of people that have died since the welfare reform and no British TV news programs had in their program now did channel 4. 80 A MONTH HAVE DIED SINCE GOVERMENT BEEN IN POWER AND FOR THE GOVERMENT TO GET AWAY WITH IT IS SO WRONG AND THE FAMILYS HAVE LOST LOVE ONES BECAUSE OF THE CHANGES. PLEASE CAN I HAVE ANSWER. I JUST FEEL SO LET DOWN NY BRITSIH NEWS. 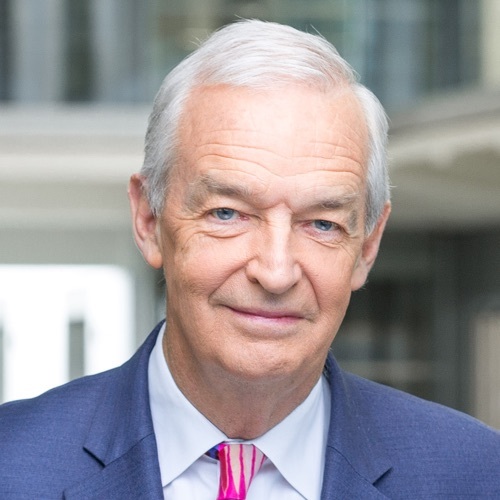 Jon Snow is right – the Iraq war and the Credit Crunch caused deep and ongoing damage both to our faith in our society, and to the precious belief that we live in a decent meritocratic democracy. The Iraq war was clearly founded on a lie, and George Bush demonstrated terrifying ignorance when he stood on an aircraft carrier and declared “Mission accomplished”, having created a fertile vacuum for radical Islam to flourish so strongly. The banking crisis saw virtually no-one jailed despite global industrial scale crime, and the free market mantra of ‘Survival of the fittest’ turns out to be an empty hollow honk to be invoked and dropped to suit. Capitalism has failed, apparently unavoidably, as did Socialism before it – in truth, and with regret, equally unavoidably. Can we have a competent, lightly regulated free market economy run with fairness, decency and social responsibility, please ? Seems distant – ah well, onward and (hopefully) upward ! Why no mention on your news all week of the many, many British people who have died at the hands of this government? The figures have been released (albeit in a very underhand way) which clearly show that there is something very wrong with the system, numerous people have wrongly been found to be fit for work, and have subsequently died very shortly afterwards, whether due to illness or poor living conditions, poverty, starvation, sanctions, worry, stress or suicide. The huge numbers of people dying as a result of IDS’s so called welfare reform, is not just worrying, it is positively criminal. How many more people need to die before you stop looking the other way? You cannot seriously call yourselves reporters when you consistently contrive to cover the truth on so many different issues. Yes, you drop the public little crumbs every now and again, to try to convince us all that you have our interests at heart, occasionally calling out the government on petty issues, but never really taking them to task on any of the substantial and very real criminal activities they are involved in, from backing and taking part in illegal wars and invading other countries, to corruption on a massive scale, both within the banking sector and big business,and also, the intentional selling off of all public assets and services, completely at odds with the interests of the general public and solely for the benefit of big business/ investors, (mostly foreign). This government along with every other Conservative government since Thatcher (and I include Blair’s government in this, given the fact that he was, and still is, to all intents and purposes, a Tory) have deliberately set out to destroy the fabric of our society, and the rights of British citizens have been eroded time after time, with barely a murmur from the mainstream media, who, it is now becoming more and more widely accepted, have colluded with the establishment, to promote government propaganda and ,endorsement of their corrupt policies by means of compliance, misinformation and complacency, among others. Absolutely shameful!